Bold. Daring. Compact. 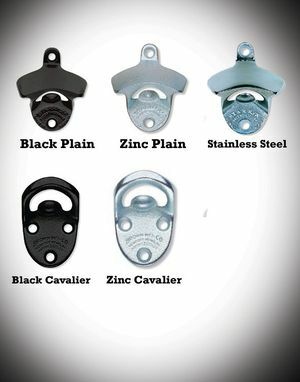 All these terms accurately describe the magnetic bottle opener we like to call the Cavalier. 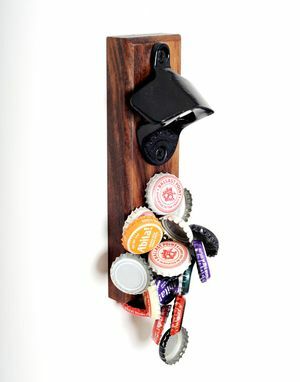 Like its big brother, Black Stout, the Cavalier is handmade from a solid slab of 100% American Black Walnut and harnesses the same ultra-strong power of rare earth magnets. 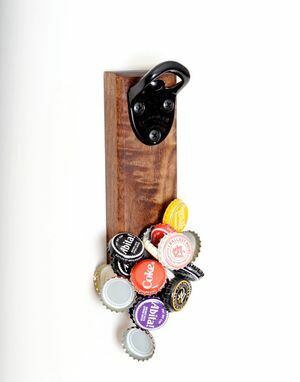 Its compact design affords it portability and with the option to customize your bottle opener you're sure to gain favor with all those aren't lucky enough to own one. 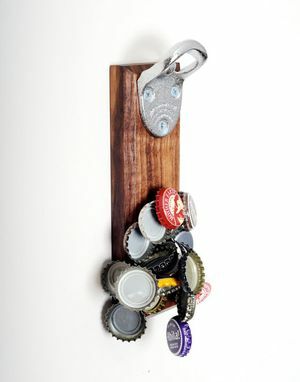 Forget the days of chasing down stray bottlecaps and instead enjoy the convenience of both cracking open a cold one and having the base catch the cap for you. All presented in a visually appealing package. The Cavalier is stained with three coats of Boiled Linseed Oil before being finished with three coats of high-gloss lacquer that makes it virtually weatherproof and perfect to hang on a deck, in a workshop, or by the pool. 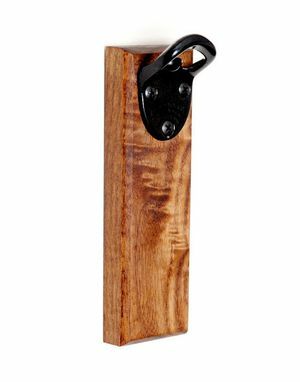 It's elegant enough to be proudly displayed in your home and thanks to a second magnet and the provided mounting hardware you can elect to either showcase it on your fridge or from any wall in the house! The Cavalier measures roughly 2.5"wide x 7"tall x 3/4"thick.